Crude oil prices are affecting demand for the commodity negatively, the International Energy Agency’s head Fatih Birol told S&P Global Platts in an interview. "The higher oil price environment may, if they stay around this level, also have an impact...put some downward pressure under demand growth," Birol said. The warning follows the release of IEA’s latest Oil Market Report, in which the authority kept its oil demand growth projections for this year unchanged at 1.4 million bpd. The agency’s boss noted that Brent over US$70 a barrel is affecting demand the most in the emerging markets that account for the most of demand growth, including China and India, but also the United States. 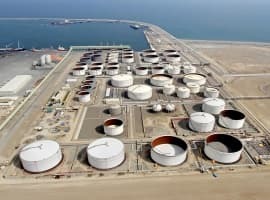 "So it will not be a surprise if we are to revise our demand numbers in the next edition of the oil market report if the prices remain at these levels," he told S&P Global Platts. For those that are watching oil price movements and the reactions of the world’s largest importers, this is not news. After a slump in the fourth quarter of last year, Brent has rebounded by about 40 percent, trading above US$70 at the moment. Prices were pushed up by the entry into effect of the latest OPEC+ round of production cuts with Saudi Arabia leading the charge and cutting considerably more than it had agreed to, yet again in a bid to raise prices to levels it feels more comfortable with. However, these are levels that India and China do not feel equally comfortable with. India relies on exports for more than 80 percent of its oil consumption and China is more dependent on imports than it would like to be. So, it is no wonder that the climb in prices “will definitely hurt oil demand if it soared especially in the important demand growth centers such as India," according to Birol. If a price of $70 a barrel is affecting global oil demand as the director of the IEA claims, how come a price ranging from $100-$115 a barrel between 2011 and 2014 didn’t affect the global demand for oil or the global economy that grew between 4%-4.5% per annum during that period. Oil prices are rising because the global oil demand is very strong adding 1.45 million barrels a day (mbd) this year over 2018 and China’s oil demand is rock solid and projected to hit 11 mbd this year. Two valid economic principles should guide the global economy and the global demand for oil. One is that oil-producing nations should always aim to maximize the return on their finite assets to the level that the global economy can tolerate. The other principle is that a fair oil price ranges from $100-$130 a barrel. Such a price is good for the global economy as it invigorates the three biggest chunks that make up the global economy, namely, global investments, the global oil industry and the economies of the oil-producing countries. Oil prices are getting high on a cocktail of bullish influences and they are headed to $80 or even higher this year. The Director of the IEA should learn some lessons from the very adverse impact the 2014 oil price crash had on the global economy, the global oil industry and the economies of the oil-producing nations.